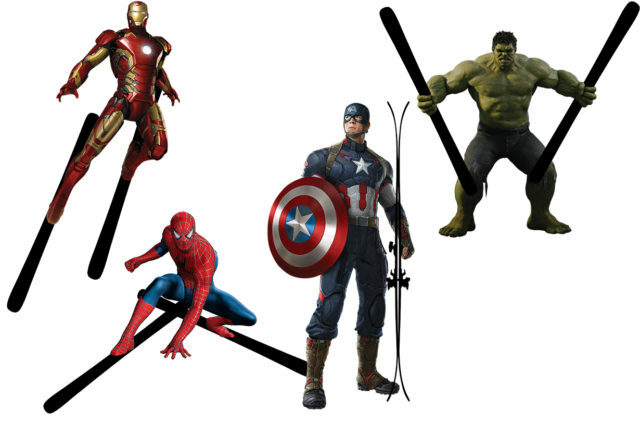 Which Ski for Which Superhero? Every superhero has an origins story, and this article has one, too. The idea started way back when Jonathan Ellsworth was reviewing the Volkl V-Werks Katana, when he said that it seemed like a ski that was specifically designed for Batman. And if you’d like to receive your own personalized gear recommendations, just become a Blister Member and send us a note. As noted above, it was Batman who got this whole conversation going, mostly because he’s all about fancy tech — especially fancy black tech. 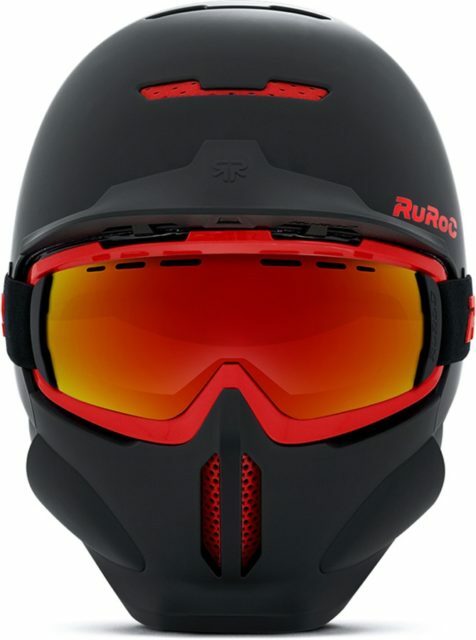 And since there are so many interesting ski products out there that we think he’d get excited about (or in his case, have designed himself), we’ve included several products that he’d definitely be using on snow. 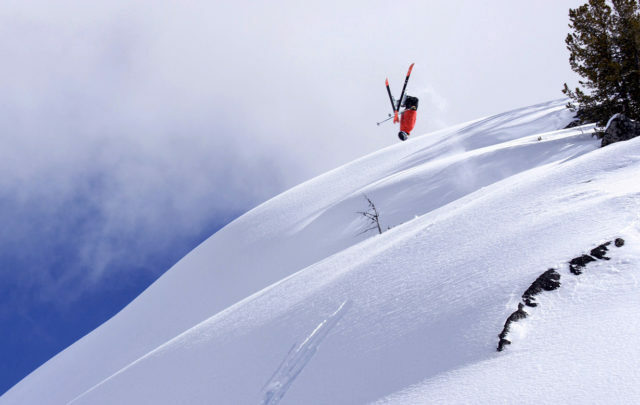 All-black topsheet, ultra-thin and high-tech carbon construction, and a really, really good ski. Makes sense. With a full carbon shell and, again, an all-black colorway, this is clearly the helmet for the Dark Knight. 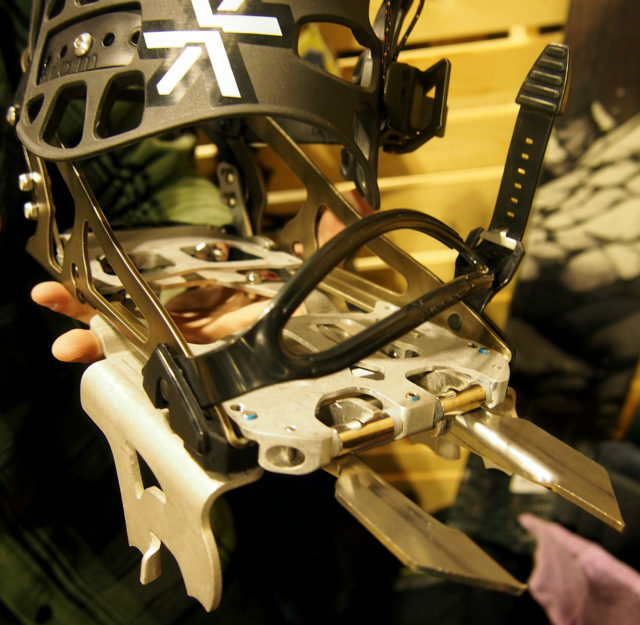 If it turns out that Batman prefers to surf the backcountry on a splitboard, there is zero doubt that he’d be using these extremely intimidating, and extremely cool crampons. They’re basically splitboard-versions of his signature arm blade things. This one’s easy. The Monster 108 is big, burly, and very green. And skiing it kinda makes you want to scream “HULK SMASH” while you are absolutely raging down the mountain. While we don’t imagine Wonder Woman would be spending a lot of time in the park, the Whippet’s name is just too good of a match to pass up. Just like Captain America’s shield, the made-in-USA Wrenegade 114 with ON3P’s custom “America” graphic would make any U.S. citizen feel extra patriotic. And if he goes with the 189 cm model, then Cap will have no trouble chasing down the Red Skull or any other bad guy. Since Black Panther’s Vibranium suit absorbs any energy he’s hit with, it would make sense for him to be on a ski that uses Renoun’s non-Newtonian HDT technology, which stiffens during hard impacts. The Z-Line 90 has both HDT and metal in it, it seems like a solid choice. We (read: Jonathan) spent an embarrassing amount of time trying to get straight on all of these different materials used by these superheroes, to determine which ones are the strongest, and to see if that would inform our selections. Here’s what we think we know: the Vibranium/steel alloy that Captain America’s shield is made of is stronger than adamantium. Adamantium was a result of Dr. MacLain trying to replicate the shield’s alloy. Thor’s hammer (called “Mjolnir”) was apparently forged by Dwarven blacksmiths, and is composed of the fictional Asgardian metal uru. That’s all we’ve got. We might be wrong. Whatever. This one’s too easy. With a fish-scale graphic, a name that literally means “fish,” and a fish-tail-shaped cutout, Aquaman would definitely rock the Pescados. Plus, we have proven that these are fantastic pond-skimming skis. As a spy, Black Widow is focused on staying under the radar. But she’s also a badass. Prior is a brand that has flown under the radar for a while while also making some pretty badass skis. Because the “Man of Steel” needs to be on the only skis out there that literally have an entire steel layer as their topsheet. Ironman would probably just make his own skis, but the i.Speed Pro, which uses microchips inside the ski to help return energy during a turn, seems like a pretty safe bet. While the color of this ski is technically maroon, not scarlet, we still think the Scarlet Witch would find the latest Blister Pro to be a pretty suitable weapon. Spidey needs to stick to stuff, and since these skis have scales on the bottom that let you grip the skin track without having to use climbing skins, we’ve got a match. With its super trippy graphics and wild tip shape, the old Icelantic Shaman would be perfect for Dr. Strange. (1) This ski has metal in it, (2) it is very badass and not to be messed with, (3) it’s name refers to a type of sword, similar to Wolverine’s claws, and (4) this ski continues to live on in its V-Werks iteration — kinda like how Wolverine continues to live on after being beat to a pulp over and over again. Only available in 160 and 167 cm lengths, the Cassiar A79 is very small compared to most other skis. But we’ve had full-size reviewers still really like it, so no worries if and when Ant Man decides to go big. Cause, ya know, they’re really small. The Range’s shell can expand and contract and so can the 3-piece Expedition poles, kinda like Ant Man. Super fast, super precise, super quick. If the Flash was concerned with going as fast as possible up the hill, these 700-gram skis would probably do the trick. And for ski boots, we figure he’d like the sound of the Mach1 from Tecnica. I mean, he literally has one. And he’s also really fun. We’re done here. Deadpool takes himself less seriously than any other superhero, so since he might not like us bringing up his deathwish, we could see him being real keen on either of these Good-Times machines. What’d We Miss, or What Did We Get Wrong? So which super hero tele’s? Popeye? If so, NTN or 75mm? I really think the Hulk would be on a pair of Powabungas. Is Popeye really a superhero? I mean, he’s not a smelly, 50-something dirtbag, so I don’t know if he’s your tele skier. I could see Popeye rocking a Lib Tech ski. Or possibly Dynastar. I thought Bikes vs Skis was nerdy, but this is…wow. Love it!